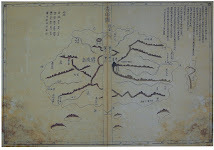 The Korean map posted below is called the Cheonggudo (靑邱圖 - 청구도). It was made by Kim Jeong-ho (金正浩). 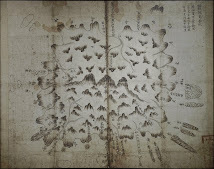 It is the largest of Korea's old maps still in existence at 8.7 meters tall and 4.62 meters wide. The map is made of hundreds of individual sheets of ruled paper panels. It is twenty-two panels wide and twenty-nine panels high. The height of each panel represents a unit measure of 100 Korean ri, and the width of each panel represents a unit measure of seventy Korean ri. One Korean ri is equivalent to 400 meters (0.4 kilometers). The scale of the map is about 1/216,000th of actual size. Each panel has a 10-segment rule for the height and a 7-segment rule for the width. Each segment represents a distance of ten ri. 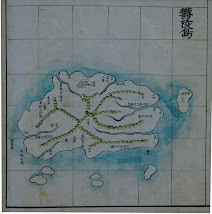 Two panels are used to rpresent Ulleungdo (鬱陵島) and its neighboring island of Usan (于山 - 우산). 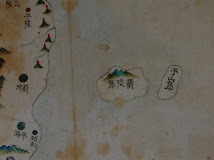 The above panel shows the west coast of Ulleungdo. 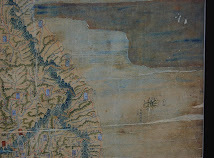 The above panel shows the east coast of Ulleungdo. different on this map, where (Usando) is to the east. 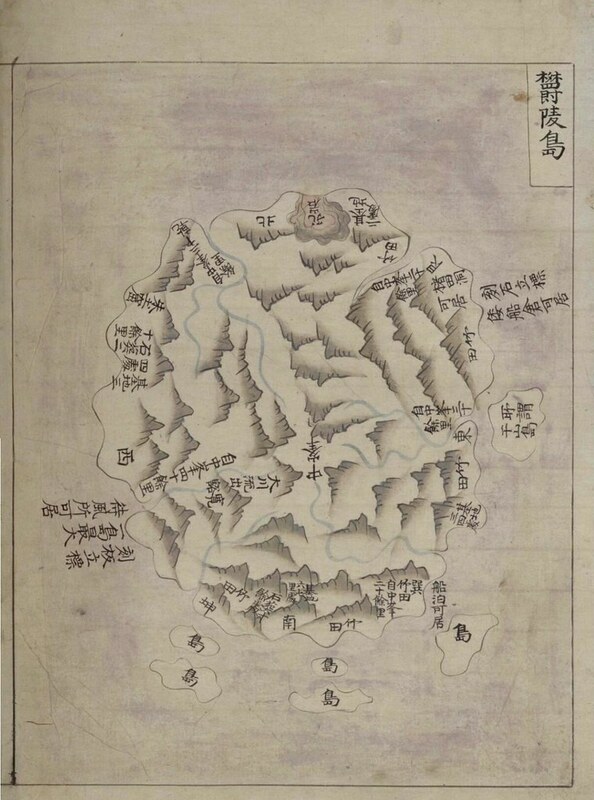 Koreans usually claim that Usando was the old name for present-day "Dokdo" (Liancourt Rocks), but the above map clearly shows that Usando was the old name for Ulleungdo's neighboring island of Jukdo, which is about 2.2 kilometers off of Ulleungdo's east shore. 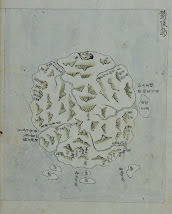 The following graphic shows that the Usan on the above map was almost certainly Ulleungdo's neighboring island of Jukdo (竹島), not Dokdo (Liancourt Rocks), which the Japanese presently refer to as Takeshima (竹島). The fact that Koreans use the same Chinese characters to refer to Ulleungdo's neighboring island of Jukdo as the Japanese use to refer to Takeshima (Liancourt Rocks) may be part of the reason for the present-day confusion. I managed to read the small characters beside "Usan" (if there are mistakes, please correct them). ● means that I couldn't read. 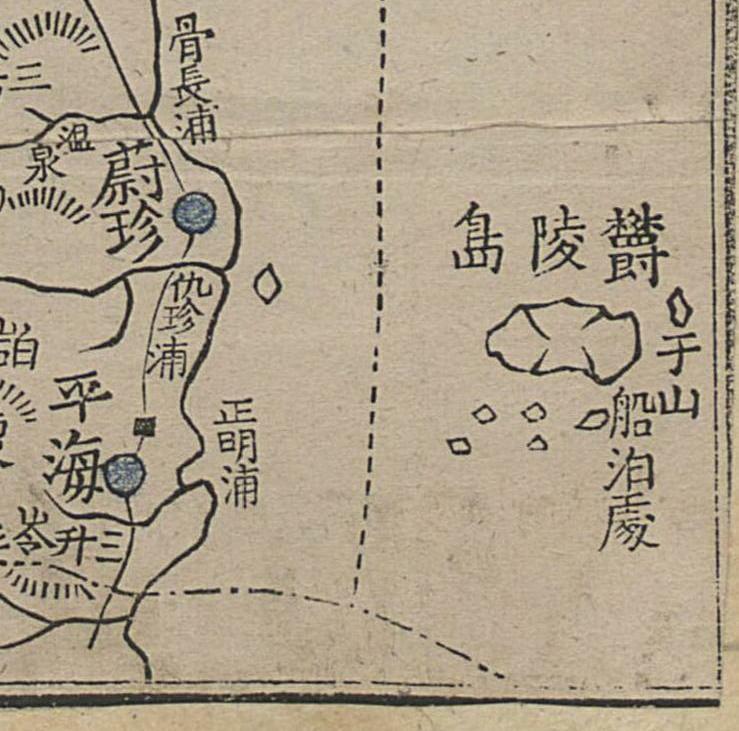 "其西又有于山島" is inconsistence...which may mean "There is also Usando in the west of it" which is not true... Usando is located at east of Ulleungdo in the map. Are there anybody who can read this? Sorry, I didn't notice that you already wrote the translated version of the note. 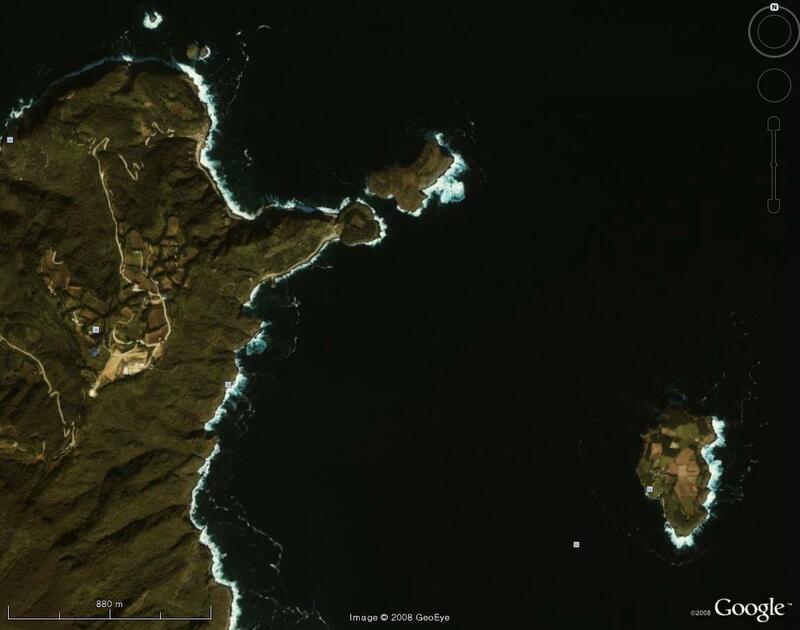 I understand it says that in the 18th century Usando was recognised at west of Ulleungdo but it locates at east of Ulleungdo. Hello from Japan. I'm Peter Payne of J-List, researching the islands for a post. Just wanted to say thanks for this wealth of information and hats off to you guys for being so sharp. I am quite confused over all the Korean language (I am fluent in Japanese), but it's a good kind of confused. 을릉도에는 사람들이 자주 올 수가 있었습니다. 또한, 독도처럼 맑은 날씨에만 주변을 볼 수가 있는 것도 아닙니다. 특히 2.4km 떨어진 섬은 언제나 볼 수 있습니다. 그렇다면, 왜 우산이 서쪽에 있는 것이 아니라 실제적으로 동쪽에 있다는 설명을 했을 까요? gerry, 당신의 소설을 한번 들어봅시다. As to your questions and your opinions, please read the following. Becuase Japan reached and used Liancourt Rocks (Takeshima/Dokdo) since the 17th century. And after the turmoil of name confusion in the 18th century to 19th century, Japanese government officially incorporated Liancourt Rocks to Japan in 1905. The incorporation was internationally recognised as legal. It was 5 years ealier than the annexation of Korea, not related with the annexation. But this is another subject, so I won't refer to it any more. You should know that Rhee Syngman illegally occupied Liancourt Rocks and Korea still keeps occupying the rocks. The country who should "give back" the rocks is Korea, not Japan. Also, you should know that USA warned Korea to "give Takeshima back to Japan". True, this map questions the legitimacy of the Korean claim, but I think you've failed to take to account the Korean sources. "輿地志云 鬱陵于山 皆于山國地 于山則 倭所謂松島也"
2) 10 ri is the distance which can be travelled by boat easily, in much less than a day. Yeojiji or "Dongguk Yeojiji" didn't say Usan is so-called Matsushima. Korean academics except for Prof.宋炳基 already admitted that. 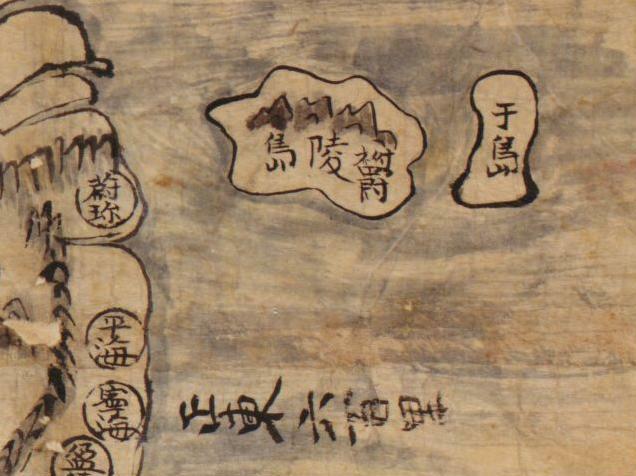 "Mangi Yoram 萬機要覽"（1808）simply quoted from 「東国文献備考・與地考」(1770) and the sentence was distorted by the author 申景濬. If you read my post, you'll know what happened. 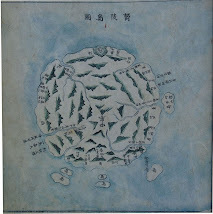 "按 輿地志云 一説于山鬱陵本一島 ( Thinkin about Yojiji, it says that Usan and Ulluen are the same island in one theory,) 而考諸圖志二島也 一則其所謂松島 ( But I think, considering many maps, it must be two island and one of them must be so-called Matsushima,) 而蓋二島 倶是于山國也(and probably two islands are Usanguk.)" 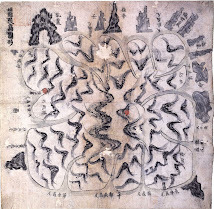 "輿地志云 鬱陵 于山 皆于山國地 于山則倭所謂松島也 (Yojiji says that Ulleun and Usan are all Usanguk. Usan is so-called Japanese Matsushima. )" "輿地志云 鬱陵于山皆于山国地. 于山則倭所謂松島也" (Yojiji says that Ulleun and Usan are all Usanguk. Usan is so-called Japanese Matsushima. )" 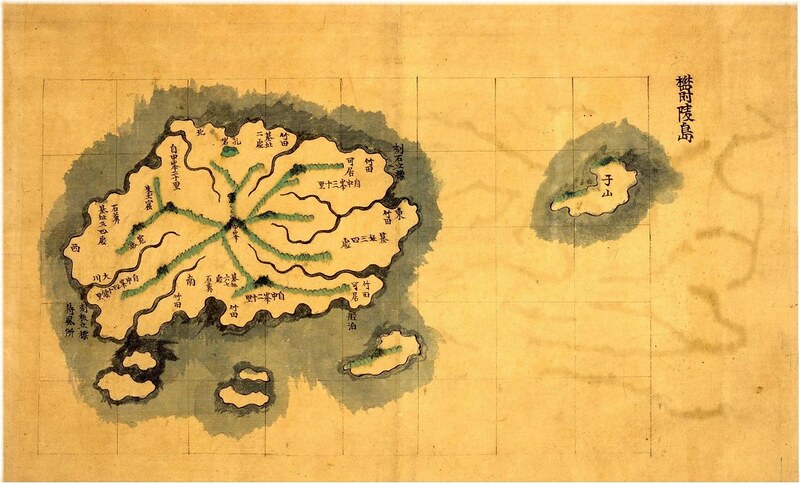 Matushima in Japanese Edo era was Liancourt Rocks, on the other hand, Usando in Joseon was Ulleungdo's another name(-late 1700s) or Jukdo (late 1700s-). Thay are not same island. 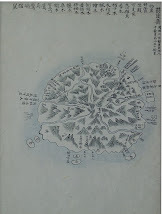 The sentence in Mangi Yoram is based on 安龍福's inconsisitant testimony, and Ahn's Usando can't be Liancourt Rocks even though he said it is Japanese Matsushima. 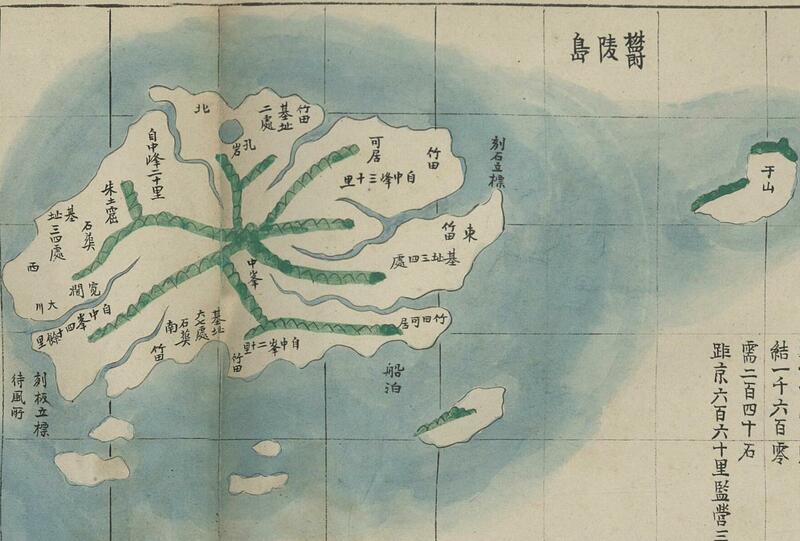 Onshu Shicho Ghoki says Ulleungdo is the northwestern border of Japan. Or people from Yonago couldn't have received the licence of reclamation from Edo Shogunate. Or there couldn't have occured any negotiation concerning the sovereignty over Ulleungdo between Joseon and Edo Shogunate in 1694-99. Even after the negotiation, Edo Shogunate simply banned Tottori Clan from trevelling to Ulleungdo, not today's Takeshima, by the way. That's why Japaense Matsushima(Liancourt Rocks) takes one day from Ulleungdo, while Korea's Usan(Jukdo) locates simply from 10 ris on the map. 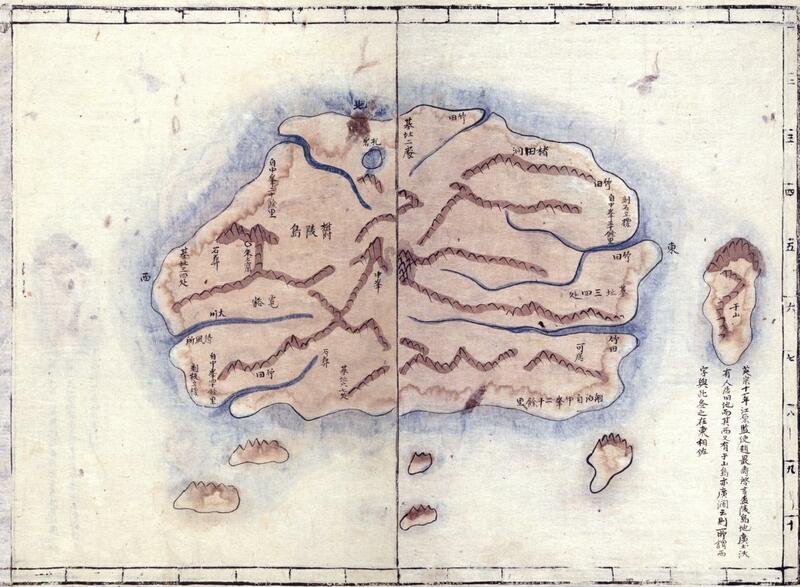 They are different islands. Kaneganese. you are wrong again. 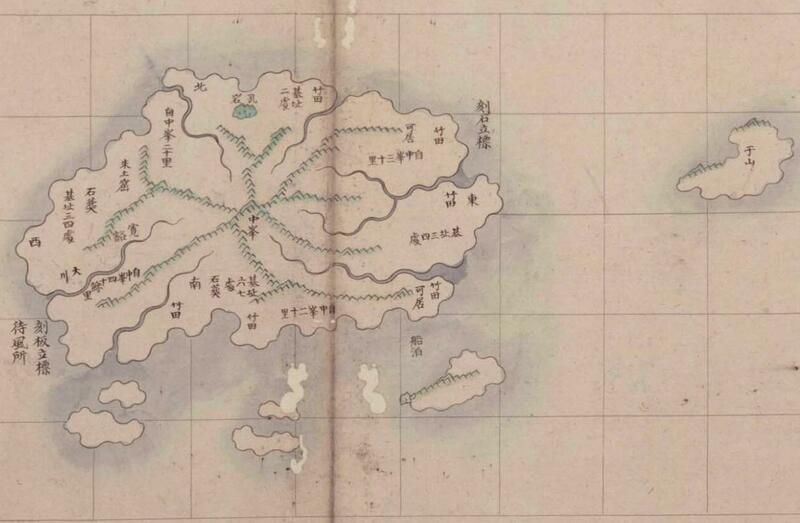 Edo Japan did issue an explicit travel ban on BOTH Ulleungdo and Dokdo in 1837. 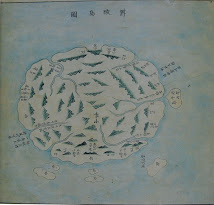 This shows Japan considered the islands as Korean. The references stating Usando was Matsushima are by and large from the Anyongbok incident. 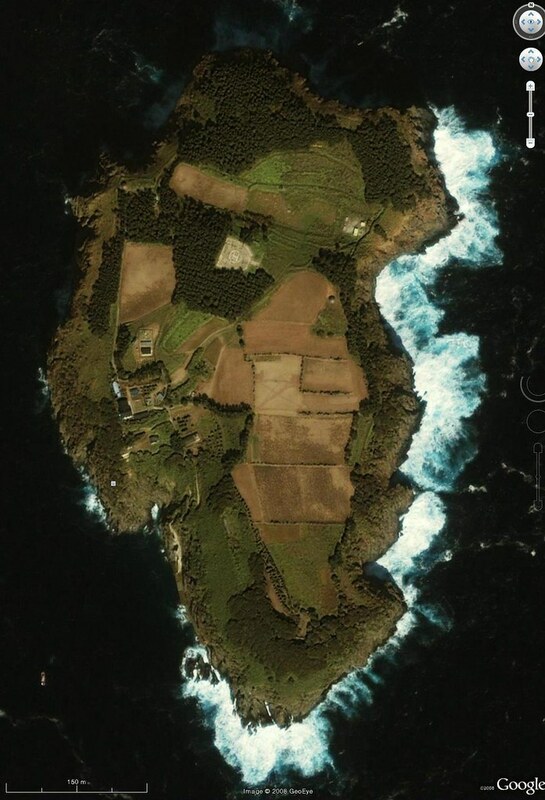 Records show An's Matsushima was 50 ri from Ulleungdo much too far to have been Ulleung's neighbouring Jukdo Islet. 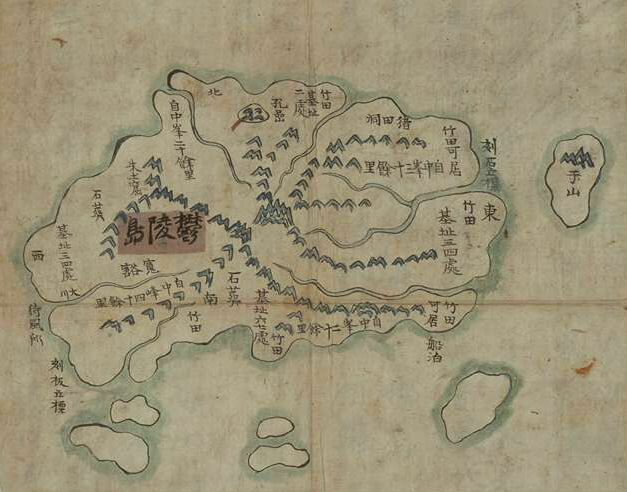 Yes, Usando was said to be today's Dokdo in many historical records. Also Saito Hosen's Report on Oki did NOT say Ulleungdo was the border of Japan Kaneganese. It stated that this "州“ meaning state or province was the limit of Japan. Your have to check the source of your translations Kaneganese because you are giving false information to the public. A translation of Saito Hosen's 1667 Report on Oki can be found here. This translation is supported by both Korena and Japanese scholars alike. 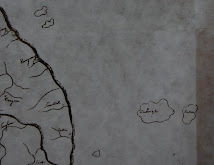 but sadly there is not islands at the bottom of Ulleung-do which your map is drawing several times..
and u-san-do is drawn too large..
which doesn't make sense since viewed from Ulleung-do, it's insignificantly small..